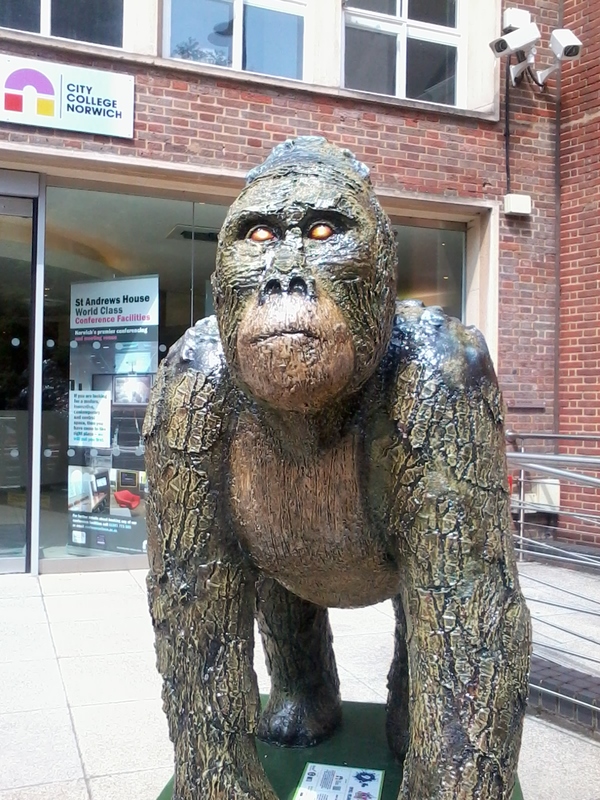 We got back from holiday to face an invasion of psychedelic gorillas. I thought someone had slipped some acid in my gin and I was tripping the light fantastic. Don’t fret, I haven’t taken to class A drugs and mugging old Norfolk broads to feed a nasty habit. Not yet anyway. 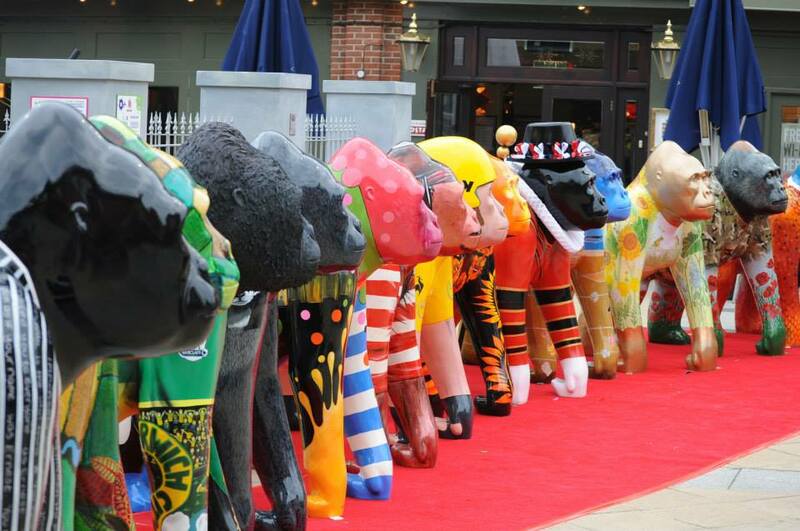 At the end of the exhibition, the multi-coloured silverbacks will be auctioned off for charity. Bid early to avoid disappointment. Remember, a Guy’s for life, not just for Christmas (so says Liam). 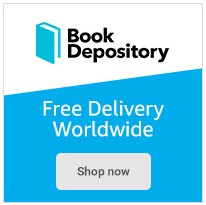 It certainly knocks spots off a naff garden gnome, not to mention the pushy teenagers in the street gripping clip boards to extract direct debits for the World Wildlife Fund. The Go Go Gorilla campaign got into a bit of hot water with the Freddie Mercury estate when one of the exhibits aped the late great Queen showman in his cloney stage clobber. Breach of copyright, apparently. It was removed from the forecourt of the Forum – to be repainted. Boo, hiss. Unlike the stuffy suits running his estate, I’m reliably informed that Mr Mercury had a wicked sense of humour and a charitable bent. 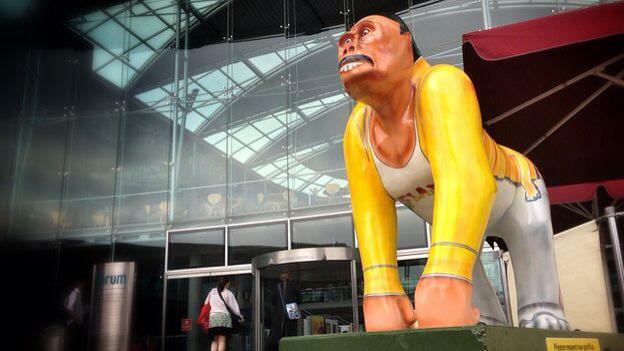 I rather hoped that Freddie the Gorilla would be resurrected in full drag as a tribute to the ‘I Want to Break Free’ video. Sadly, it was not to be. Freddie was reinstated today, sprayed black and minus his tash, crop top and signature buck teeth. So now it’s just any old primate in a Queen jacket. Still, all the fuss gave the campaign a bit of a boost and got them on the BBC. Here’s my personal favourite, a mean-looking bugger with a strangely benign face. He’s less adorned than the others with just a light dusting of glitter sparkling away in the sun. Clearly, this Guy is not afraid of his feminine side. Or perhaps Guy’s really a Gal?